Over 90 percent of world trade, almost 95 percent of the European Union’s foreign trade and nearly 70 percent of the German im- and export are realized by seatrade. Maritime transport does not only provide the most powerful means of transport in international exchange of goods, but also the most efficient one with respect to transport-related energy consumption and subsequent pollution. 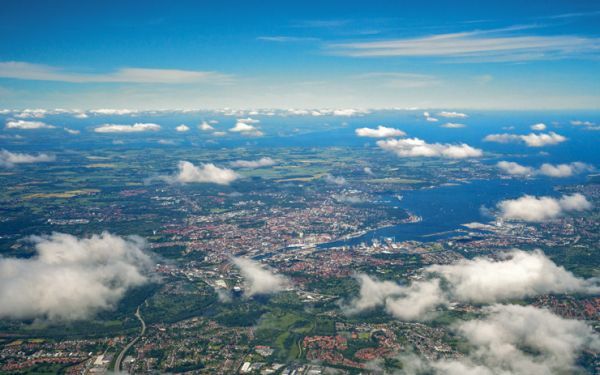 Not least due to the declaration as an Emission Control Area (ECA) the Baltic Sea is one of the world’s cleanest navigated areas, alongside the coasts of the USA. The shipping companies have invested a lot of money into more efficient vessels and permanent emission reduction. However, there is still room for improvement. We want to do our bit and become one of the flagship ports on the Baltic Sea. The port is continuing to grow. And this is advantageous in ecological terms as the shipping industry is the transport mode with the lowest emission of greenhouse gases, measured by the transport performance in ton kilometres. We rise to the challenge of utilizing and developing the economic port in a sustainable manner in line with public interest. This includes climate protection, energy and resource efficiency and avoiding air and water pollution within the technical and economic limits. Next to supporting external projects and incentive measures, we also do our own homework: acceptance of ships’ waste-water, installing shore-side electricity, using and testing electronic forklift trucks and tractors, eco-electricity, photovoltaics, E-Mobility and energyefficient lighting technology. We offer our partners tariff incentives for environmentally-friendly technology in shipbuilding, an intelligent transport management system on the terminal as well as participates in pilot projects about alternative low-emission fuels. Is this possible in the port of Kiel? Definitely yes! The result of calculations and orienting air pollution measurements at Kiel's terminal facilities by the responsible State Agency for Agriculture, Environment and Rural Areas Schleswig-Holstein (LLUR) is that all short-term and long-term values of sulphur dioxide and nitrogen dioxide are significantly below the threshold values and the immission values for protecting human health. Most ships have usually been equipped with diesel motors up to now. These need either marine diesel (MDO) or heavy fuel oil (HFO) when out at sea. In order to reduce emissions, scrubbers and catalysts are being installed. The shipping industry is at a turning point right now. Important trends are LNG, alcohol/diesel PTL, Methane PTG and fuel-cell drive. Also the shipping companies calling at the port of Kiel are working on versatile projects. From the year 2021 all cruise ships – new ships from as early as 2019 indeed – must dispose of all their waste-water in port or respectively can only do so on board of the ship when regulatory standards are adhered to. A new solution had to be found. The company Unitechnics proved to be an innovative partner. 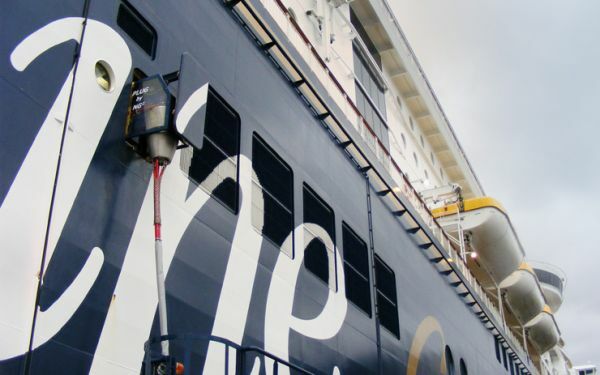 Together with them PORT OF KIEL carried out extensive tests, identified the best process for treating the sewage of cruise ships and created new standards. 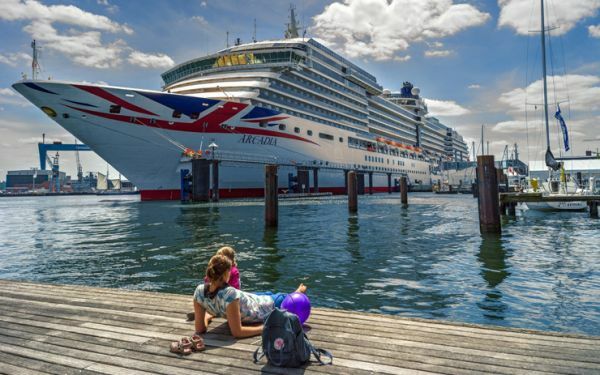 Shore power supply is a reasonable way to avoid emissions during demurrage, especially for ships berthing in Kiel’s city port on a daily basis. In recent years, accurate technical plans for installations at the terminals Schwedenkai and Norwegenkai have been prepared, waiting for their implementation. 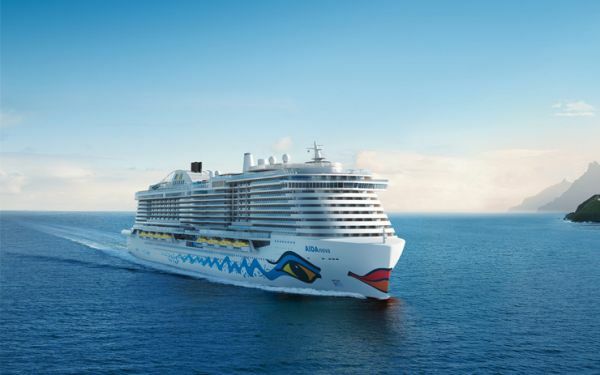 Technical standards and developments in the cruise sector show that alternative fuels will prevail. Shore power technology can be an interim solution for them. 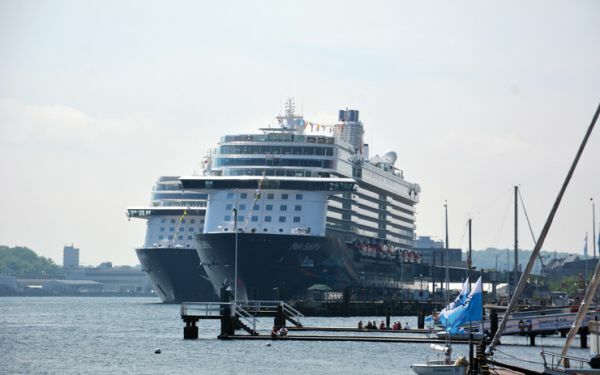 The PORT OF KIEL is vigilant about the fuel consumption and emission values of its newly purchased cars. Since 2018, ten out of 50 fork lift trucks are operated by electricity. 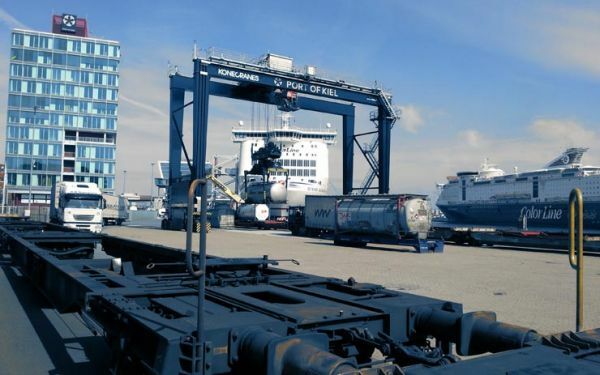 Also for RoRo handling electrically driven tractors and fork lifts are basically available on the market and have been tested by PORT OF KIEL. 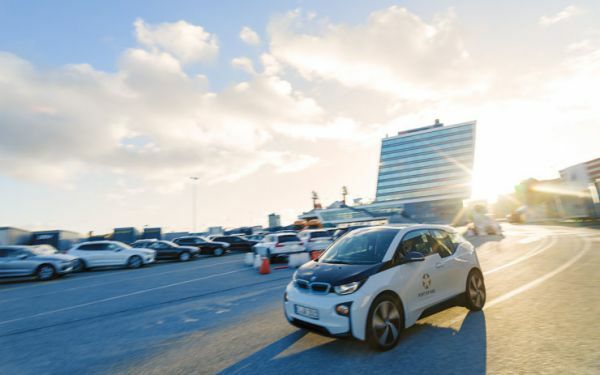 The share of E-cars amounts to 15 percent at present. Intermodal transport leads to the significant reduction of emissions due to shifting cargo transhipment from road to rail and sea. Compared to road transport, rail traffic produces a lot less emissions in terms of fine particulate matter, nitrogen oxides and greenhouse gases. Intermodal transport (rail/ship) has gained more and more importance in the past couple of years. 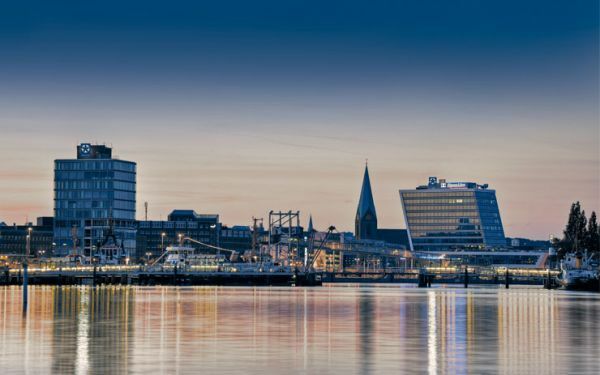 For years, the PORT OF KIEL has been dealing with matters like power from renewable resouces, alternative energy generation, lighting technology conversion as well es energy efficiency and an energy management that supports climate protection in order to reduce emissions from port operations and climate-neutral energy consumption.